For its 11th edition in 2014, it relocates in the wonderful facility of Saint Jacut de la Mer close to Saint Malo and Mont Saint Michel. 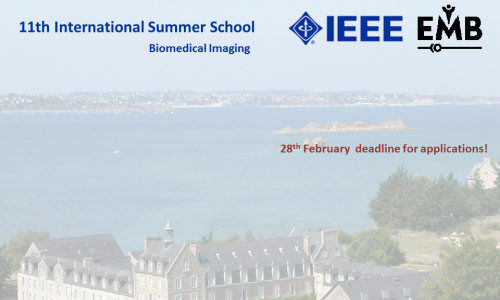 A stronger emphasis will be given to the biological aspects of our scientific area as Professor Jean-Christophe Olivo-Marin from Institut Pasteur is joining in as co-chair the founding chairs of the Summer School, Professors Jean-Louis Coatrieux and Christian Roux. Extensive 6 hours lectures, seminars, and discussions are organized at the highest level, but with the freedom of spirit that is the tradition of Brittany. The school objective is to contribute without any exclusion to advances in a rapidly evolving field, and to foster participation in the adventure of research. It provides up-to-date, state-of-art knowledge on emerging areas and addresses important issues dealing with complex, multivariate systems, going from basic to applied research.